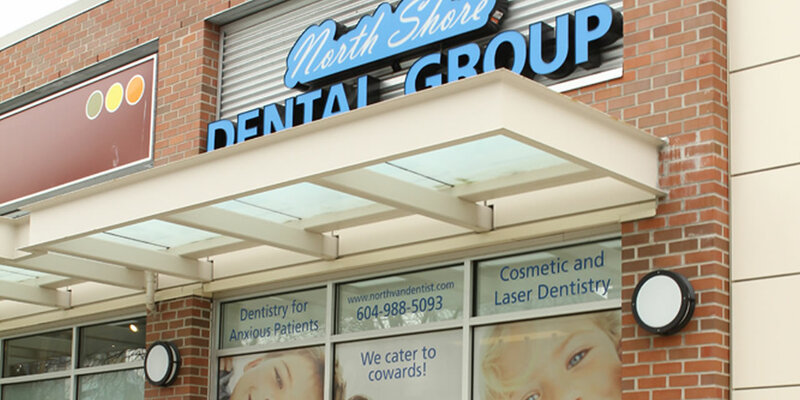 North Shore Dental Group is a dental clinic with a boutique feel, where our patients are more than just patients. Our main concern is your smile. We aim to give our patients comfortable dental care and offer modern services like complete smile makeovers and extended appointments. In addition to Cosmetic Dentistry and Restorative Dental Work, we also provide Sedation Dentistry and Oral Surgery for our North Shore, North Vancouver and Lower Mainland patients. We offer a variety of solutions that can improve your visit to the dentist and your life in general, such as teeth whitening, veneers, dental implants, root canals and mouth guards. We believe that innovations in dentistry and dental technology have helped patients achieve their best oral health care possible and overcome any issues with their smile. We use digital x-rays, intraoral camera and Velscope oral cancer screening to better our patients experience with us. Our North Vancouver clinic is located at Marine Drive and Hanes avenue across from Capilano Mall. Our centrally located clinic provides easy access for drivers and those you prefer transit. Chipped a huge chunk off a molar yesterday and was desperate to get it filled before the New Years Eve weekend. Haven't seen a dentist in ages. Dr. Sarrafan's staff fit me in within 24 hours. And for the first time, a dental assistant explained every single thing that was happening before doing it. It completely put me at ease. Dr. Sarrafan showed me my x-rays, showed me options, gave me pricing--the works. I told him to go for it and he took less than 30 minutes to restore my tooth while I watched "Bridesmaids" on the TV screen hanging conveniently above me while he worked painlessly on my mouth. And I don't have coverage so I was grateful for the very reasonable bill. Going back to get more work done in January now that I've found my dentist. The staff at North Shore Dental Group are lovely. My hygienist is very thoughtful and thorough. Last few visits have just been for routine cleaning, but whether for that or when more serious dental work has been needed, the service is always prompt, courteous, gentle, and efficient. Dr. Doujak is an excellent dentist and everyone at their office makes the experience more pleasant. The service is fast, friendly and very professional. I have recommended them to my family, friends and continue to do so. The staff at this dental office is absolutely amazing. From Aiza at the front, to Dr. Sarrafan in the back, they are the best dental team I have ever been to. Even though I moved cities, I will go back to North Van just for them. They do outstanding work and always make me feel welcome. I have been going to this dental office for the past four years and I'd like to say that I'm very happy with their services. Dr Sarrafan and his team are always so friendly and knowledgable. They really care about their patients, thats why I've referred my friends and family to them.